The St. Isaac's Cathedral (Isaakievskiy Sobor) is located on St. Isaac's Square in St. Petersburg, Russia. The cathedral was designed by Auguste de Montferrand and built in 1818-1858. 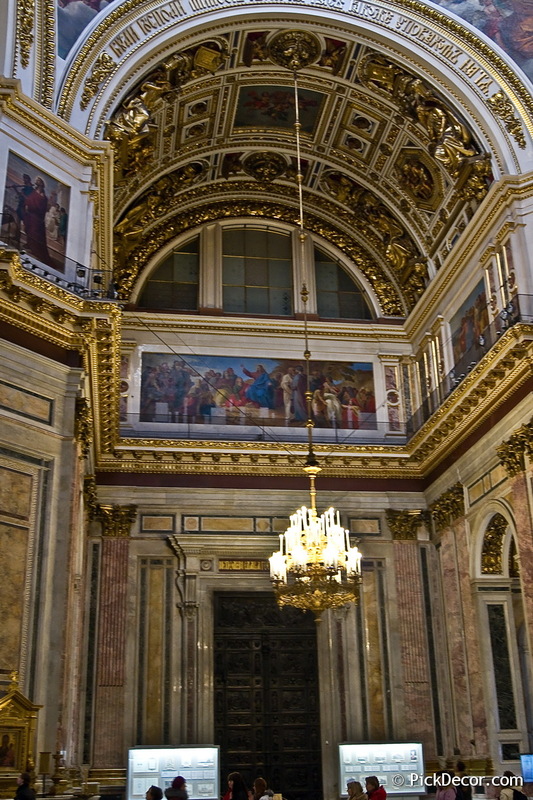 The Cathedral is decorated with marble, malachite, lapis lazuli, gilded bronze and mosaics. The interior was created by artists FA Bruni, Karl Briullov, ID Burukhin, VK Shebuev, FN Riess and sculptors Ivan Vitali, P. Klodt.